PolyU works to establish a close link with society and serve the community at large through its Community Service Learning Programme (CSLP), launched by the Student Affairs Office (SAO) together with over 20 academic departments. It aims to encourage PolyU students and staff to serve the community by applying their professional knowledge and skills. 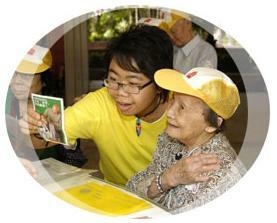 In the 2010-2011 school year, the CSLP is focusing heavily on serving the needy in the Sham Shui Po community. The CSLP encourages excellence in service programs by offering awards to exemplary projects, and by making grants available to subsidize student-initiated community engagement projects. The CSLP also offers a Volunteer Training Workshop to furnish students with necessary skills in planning, organizing, and conducting community service projects.